A standard building insurance policy may cover your tenanted building for fire and storm damage. However, it will not cover your losses relating to rent default and malicious damage caused by the tenant. 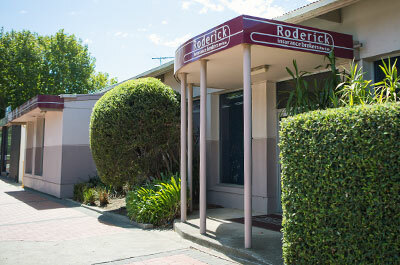 Roderick Insurance Brokers offer specialised landlord insurance for property owners across Geelong and Werribee. You may rent out your property unfurnished. However, there are still content items you need to consider when insuring your rental property, including carpets, curtains and internal blinds. Loss of rent cover applies when the building is unable to be lived-in after damage to the building. This can include water damage, fire damage, malicious damage and other events listed in your policy wording. Cover also applies when damage to other property located near your property is damaged and access to your building is prevented. Provides protection if your tenant(s) fails to pay rent in accordance with their rental agreement. Theft of your building or contents by tenant(s) is covered. Covers you for the amount you are liable to pay following an injury suffered on your property, including any legal costs you have to pay in relation to the injury. The automatic benefits of a landlords insurance policy covers deliberate or intentional or malicious damage. This cover protects you against a conscious or reckless act of the tenant(s) in altering or damaging your property without your permission, such as unapproved renovations, holes in walls and other deliberate or intentional damage. Tips to ensure you get the best outcome from your landlords insurance policy. Am I required to have a rental or lease agreement in place? Yes – rent default claims require you to have a current written lease or rental agreement in place. Am I required to collect a bond? Most policies stipulate your policy will operate on the basis that you have collected at least four weeks’ rent as a bond. What if I rent my property out on a short-term basis? Not all policies cover you if your property is rented on a short-term basis. You need to advise us if your property is used for short-term rentals. What if my property becomes unoccupied? Some policies reduce your coverage under the policy if your buildings have not been lived-in for a stipulated period of time, others cease cover altogether. You must advise us immediately if your premises will be unoccupied for more than 60 days to ensure cover continues. What are some of my responsibilities as a landlord? Maintenance, wear and tear and poor housekeeping are still the responsibility of the landlord, and not covered by insurance. Ensure regular inspections are carried out on your property and reports are provided to you. 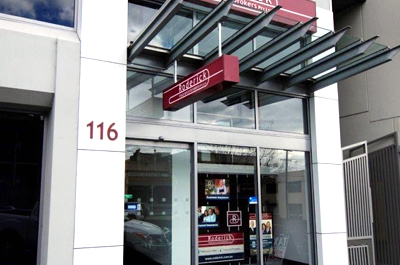 If you have further questions, please refer to our insurance FAQ or contact our Geelong personal insurance brokers. If you would like a quotation for Landlord Insurance or would like advice as to whether you need this policy, please contact Roderick Insurance Brokers.